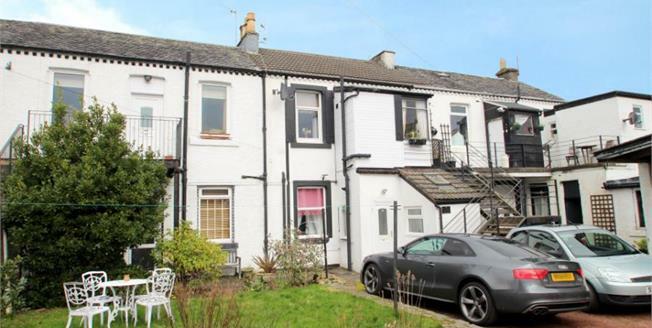 This one bedroom first floor flat occupies the top level of this white roughcast mews hidden behind West Princes Street and affording easy access to the centre of Helensburgh. Accommodation comprises: Entrance vestibule; Lounge with large storage cupboard (9'0" x 4'3") which could be further developed; Fitted kitchen with space for appliances; Double bedroom affording ample space for bedroom furniture; Three piece shower room with electric shower. The subjects are enhanced by double glazing and electric heating.